Mergers and Acquisitions activity has spiked recently in EDU. Charlotte, North Carolina-based digital company Red Ventures announced it has acquired HigherEducation.com (H-E) for an undisclosed amount. 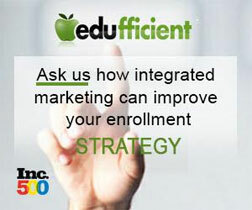 H-E is a provider of marketing and enrollment services to post-secondary institutions. Launched in 2007, H-E owns a portfolio of websites that helps more than 150 primarily not-for-profit university partners expand their education offerings and better reach prospective students across the country. Red Ventures bought H-E from Chicago-based private investment firm The Vistria Group. Under Vistria, H-E capitalized on industry relationships and operating expertise to help strategically position the service in its markets and facilitate the company’s growth and profitability. Online program management companies 2U and Keypath Education have announced they will work together to help colleges launch and run online degrees. 2U has agreed to acquire a minority stake in the parent company that owns Keypath Education — an OPM that specializes in working with small colleges and has offices in the U.S., Canada, Australia and England. Keypath Education currently works with 23 university partners. The partnership will allow 2U to “expand the scope of its services” by working with smaller or lower-tuition degree programs than it typically supports, a 2U press release said. The company is known for working with selective institutions such as the Harvard Business School. 2U also announced this week that it will be offering its students complimentary access to LinkedIn Premium Career, which will help students to network and find jobs. The company will use insights from LinkedIn Premium Career to track students’ career progression and to improve employment outcomes for 2U’s university partners. Lanham, Md., and New York – April 8, 2019 – 2U, Inc. (Nasdaq: TWOU), a leader in education technology, today announced that it has entered into an agreement to acquire Trilogy Education, a workforce accelerator that prepares adult learners for high-growth careers in the digital economy, for $750 million in cash and stock. Trilogy partners with top universities and leading companies to provide in-person and online skills-based training programs in coding, data analytics, UX/UI, and cybersecurity that bridge regional hiring gaps in more than 50 cities around the globe. 2U is a trusted partner and brand steward to great universities, helping them build, deliver, and support world-class, graduate-level degree programs, professional certificates, and short courses online. Trilogy-powered boot camps are a natural complement to 2U’s existing portfolio of offerings; and 2U’s unparalleled track record of scaling high-quality digital education offerings will help drive Trilogy’s continued growth and online expansion. 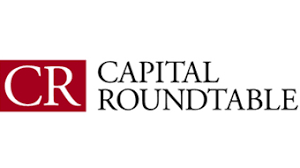 MarketDrivenEdu is pleased to announce it’s 10th annual Media sponsorship of The Capital Roundtable’s full-day conference on Private Equity Investing in Education-Focused Companies. Coming up on Tuesday, January 15, 2019, in New York City, the theme of this conference is The Role for Private Capital in Bridging the Gap Between Education & Employment. As a friend of MarketDrivenEdu, you qualify for a special VIP rate — $995 ($500 off the standard rate). To register, please call Kristi Paris, at 212-832-7300 ext. 0, or email her at kparis@capitalroundtable.com. 57% of Republicans support charter schools, versus just 36% of Democrats. Only 33% of Republicans think spending on public schools in their district should be increased, versus 58% of Democrats. Just 28% of Republicans believe college is worth the cost, versus 43% of Democrats. If you’re a private investor, those stats may make you feel nervous. For instance, you may not want to invest in a for-profit college during Donald Trump’s administration, if the next president may be Elizabeth Warren and the rules may change again. One path forward lies in something everyone can agree on — that the U.S. education system needs to do better at preparing people for joining the workforce. Join more than 20 experts as they assess the outlook for PE investing in the education sector at this all-day conference, chaired by Daniel Pianko, co-founder & managing director at University Ventures. At this conference, you’ll enjoy exceptional networking opportunities. The agenda includes ample time, with session breaks and a buffet lunch, to exchange ideas, swap business cards, and form new relationships. To register, please call Kristi Paris, at 212-832-7300 ext. 0, or email her at kparis@capitalroundtable.com. Please be sure to mention MarketDrivenEdu to receive this low VIP rate. And note this rate is not available online. How PE Firms Are Engineering A New Generation of Education Companies. I’m reaching out to you, as a friend of my firm, to offer you a special VIP rate — $500 off the standard rate. Your price to register is only $995! To register at this special rate, please contact Julie Berger at 212-832-7300, ext.0, or jberger@capitalroundtable.com. You’ll hear from more than 20 private equity investors and bankers, and education company managers discussing how they’re partnering with schools, corporations, and other kinds of investors to build “next-gen” companies that can drive the remodeling of the U.S. education system and thereby deliver better outcomes for students and better returns for investors. Chairing the conference is Shoshana Vernick, a co-founder of Sterling Partners’ Education Opportunity Fund. She joined Sterling in 2003, and has devoted her tenure on the investment team, working on all aspects of the deal process including identification and due diligence, and management and oversight of the active portfolio. To register, please call Julie Berger, at 212-832-7300 ext. 0, or email her at jberger@capitalroundtable.com. Member Discount : Meet 1,700+ prospects at LeadsCon – final days to save! LeadsCon’s Lowest Rate Expires In Hours – New Business Partners Are Yours For The Taking! Udemy received a $60 million investment from the South African media company. Online education startup Udemy has raised a new round of funding, to the tune of $60 million, from South African media company Naspers. Larry Illg, CEO of Naspers Ventures, is joining Udemy’s Board of Directors. Founded in 2010, Udemy is a marketplace for online courses that brings together people with expertise in one or more areas, and people who want to learn about a new topic or develop a new skill. Udemy provides tools and a market for the experts to make and sell their courses, and takes a cut of their sales. Special Discount to Private Equity Investment in For Profit Education Conference in July! Chairing this conference is Lawrence Shagrin, managing partner at Millpond Equity Partners, a private equity firm that invests exclusively in the education, training, and outsourced services sectors. Larry also serves as a partner at Brockway Moran & Partners, a middle-market private equity firm with over $1 billion under management. Lawrence and 20 other for-profit education experts will provide sound insights on how to take advantage of the significant marketplace activity beyond the post-secondary space. As a MarketDrivenEdu subscriber, you qualify for a special ultra-low rate — $400 off! To register just call Joanna Russell at 212-832-7300, ext. 0, or email her at jrussell@capitalroundtable.com. Please be sure to reference MarketDrivenEdu and this email to qualify for this special rate. This rate is not available online. What new developments have taken place in the for-profit education world to bridge the gap between what educators deliver and what employers want? What does the much-discussed acquisition of Lynda.com by LinkedIn portend for other subscription-based digital training companies? How are education companies differentiating their services through catering to the demand for mobile learning? What’s happening to the value in ROI of a traditional four-year degree, and what companies are taking the lead with employer and student-focused alternatives? What are the major talent development needs among major employers, and which service providers offer the most help? How important is it that corporate training providers go beyond content delivery to offer monitoring, tracking, and assessment? In the K-12 space, how early are educators thinking about future career paths? How are they using partnerships to answer the need? What are the key criteria that can help you judge a middle-market education company deal? What are the most important things a firm has to get right when exiting an investment in the education space? Where do new investors in education often make mistakes, and what are the truths that newcomers must learn? What are the potential traps and pitfalls that can befall for-profit education investors, and how can they be avoided? 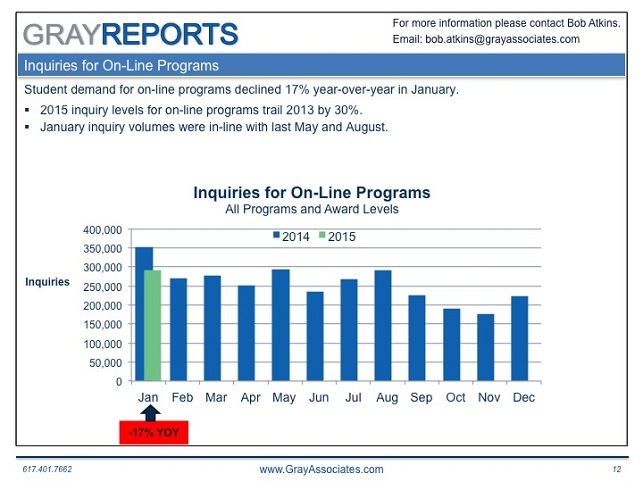 Inquiries for On-Line Programs Dropped 17%.